Energy and fuels prices growth and CO2 emission restrictions, force us to use energy more efficiently. Waste heat may be found in different process parts such as exhaust gas streams, or used drying process air. Using recovery heat exchanger and transferring heat into other process area is a basic method to increase production of the plant, or decrease fuel consumption. 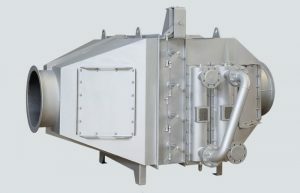 Economisers are available in carbon steel or stainless steel materials for various tube types. Our economiser portfolio provides a variety of solutions to heat water, oil or even gas/gas recuperators. Our engineers will help you to balance heat recovery unit with other heat exchangers that will receive recovered heat like air heater, plate, or shell and tube unit within our full equipment portfolio.